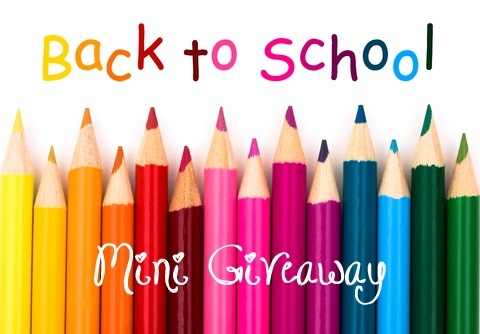 I will be doing a mini back to school giveaway here at Mommy's Favorite Things. 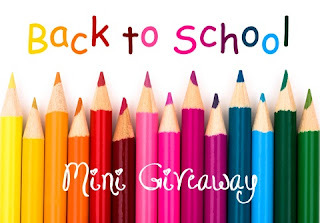 Although I did the Off to School We Go giveaway hop a couple weeks back, I have a few more sponsors that have come in and I wanted to combine them for 1 winner to give them a nice back to school package. The sponsors of this are Pediped, J World Sport and Frecklebox. So know that your child will be nice and stylish as they return to school! I have featured Pediped countless times here at Mommy's Favorite Things and I have never been disappointed in the slightest. This time around we received the Bailey in Chocolate Brown for Avery and I'm in love! They are the perfect Mary Jane style for back to school and brown will literally match anything. I love that they have the Flex Fit System. They come with extra inserts. You put them in to take up a bit of extra room in the shoe so they fit better. When your child's feet grow, just take the inserts out so the shoe fits better. You get more use out of a single pair of shoes with this system. Love the nice big opening. Makes it easy for my daughter to put them on and off. They fit her perfectly and are bound to match anything she wears this year. Pediped shoes are super soft and made out of leather, they are like butter. They are very true to size and fit perfectly and they bend and form to the foot to give adequate growth to your child's feet. I love the styles they come out with yearly (they have some GORGEOUS ones). But I also love that they bring you back to the basics too. Check out this style!! LOVE it! Their shoes are amazing, comfortable and affordable for the quality you get. If you like Pediped, make sure to check out Brian James Footwear. The new women's footwear line from Angela Edgeworth, founder of Pediped. Overall: ***** Love our Pediped's! For this mini giveaway, Pediped is offering one winner the chance to win shoes in the gender and size of choice!